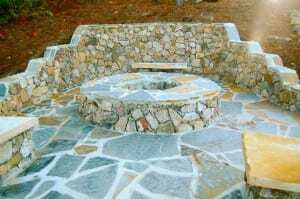 Natural stone fire pit installations are some of the most beautiful projects that I have seen in NorCal, and I love the interest of people in these firepits. As we get closer to finish our fire pit series promotion, I’ve seen good response from some of our readers. Sometimes that response ends up with a phone call from them asking more questions about fire pits, and some people ask for an estimate. A lot of people ask me about natural stone fire pit construction, and also about flagstone fire pits (an article I’ll post in a couple of days more). The questions they have will be answered in this article in case more people is interested in getting answers. We have built some fire pits with natural stone in our areas of services in Northern California, and they’re fun for us to build, and the final result looks great. I have to say natural stone fire pit projects are my favorites. 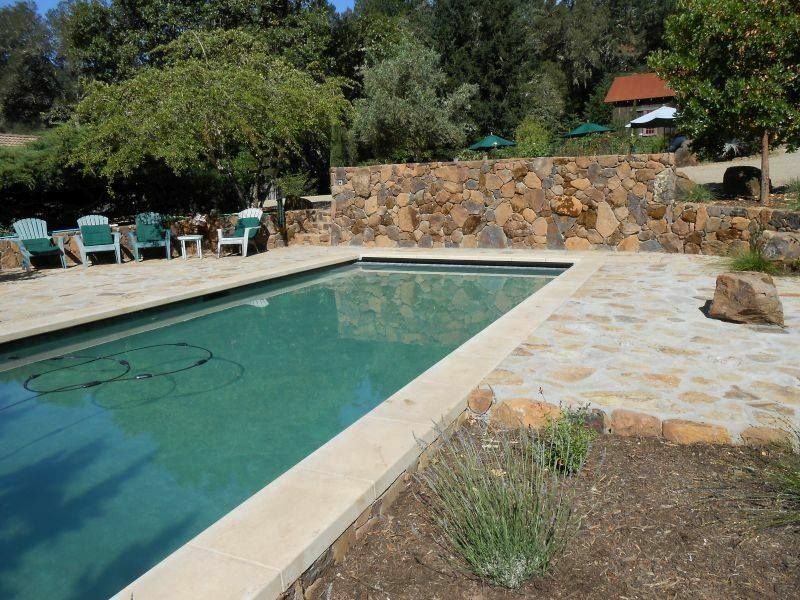 However, the stone for fire pit projects in NorCal is not as cheap when you look in the wrong places (especially right now), so a lot of people decide not to build a fire pit, or just buy a fire pit table, which ends up being expensive and not as appealing. 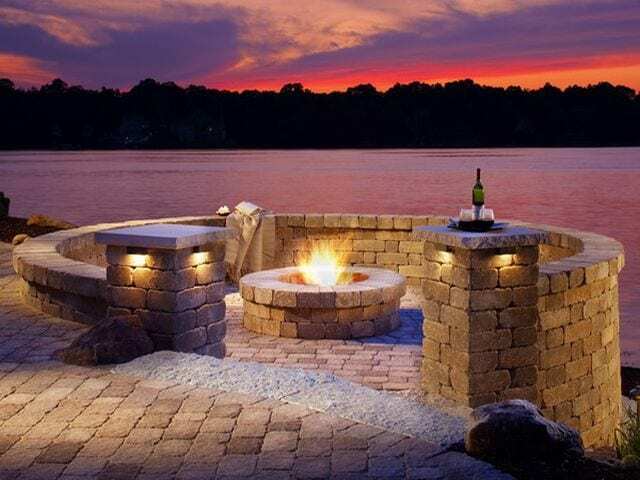 Well, we’ve been in this business for many years and we can get cheap stone for fire pit, walls and other projects you may have in mind as long as you have a flexible mind with the material. When I say cheap I don’t mean “bad quality stone” or something like it, I mean high quality stone for little money. 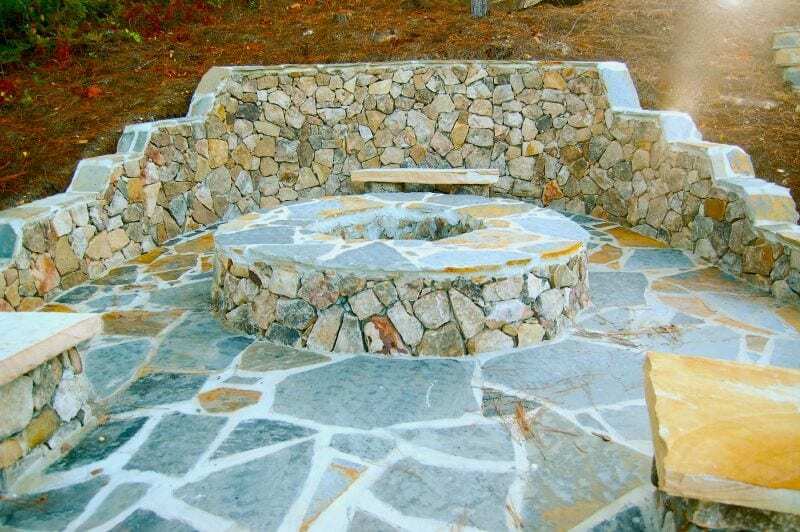 If you don’t have already something in mind, you can give me a call and I can show you pictures of stone jobs we have done with cheap stone, and the types of cheap stone we can get for your firepit. If you’re already settle in your mind with the type of stone you want, you can give us a call, and I may be able to get it for you at a much lower cost, I know at this time everybody wants to save some money, and I may be able to do that for you while still making a high quality job. 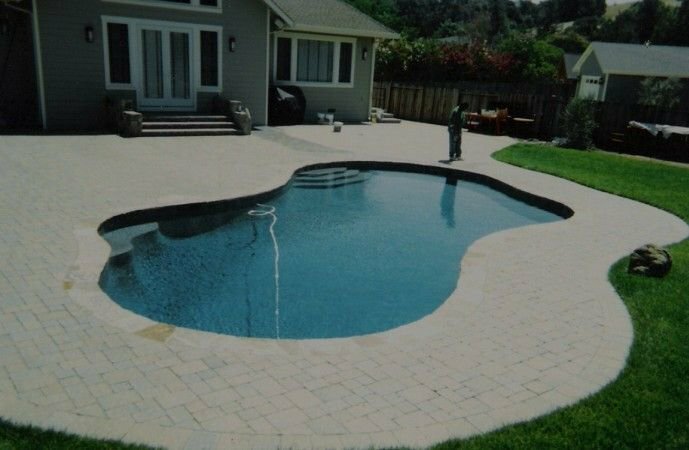 There are lots of options when it comes to stone in NorCal, and we could also be able to mix the type of stone you have in mind with cheaper stone and make a very high quality job with an even lower cost. Also, you could consider buying stone veneer for your firepit project, it looks pretty much like natural stone, but beware, because after some years the colors fade and the material starts to chip away if you use it outdoors. When you build a natural stone fire pit, you’ll have the chance to have different concrete joint finishes, one of my favorites is drystack, but you can also go level. I’ll talk more about this when I start writing about stone work. Meanwhile you can ask me directly if you want to. Remember to make sure that you can build a firepit in your backyard. Read my article “Is a Fire Pit Good for Your Backyard? 6 Reasons to Help You Find Out!” to come up with the answers. 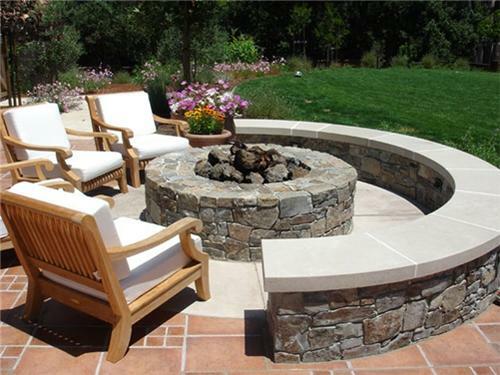 If you’re looking forward to have a natural stone fire pit in your home, you can always give us a call if you’re in Napa Valley, or Northern California. Remember to check out our areas of service.